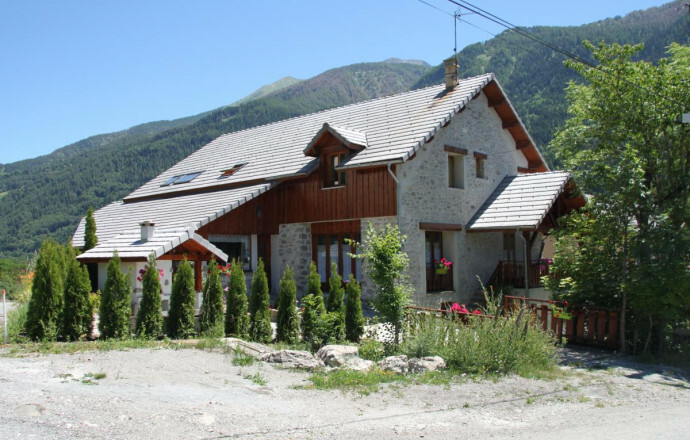 Frederick, farmer and ski monitor Delphine are pleased to welcome you in their old farmhouse renovated with materials of origin (stone and wood). 4 Very spacious rooms (2 to 4 pers) 3 with mezzanine. Each with shower, wc, TV-DVD room, private lounge area. Spa: jacuzzi (pay service). Meal served in the ground floor opening onto terrace & garden dining. Outdoor spa. Family and regional cuisine, farm produce. Table d ' hôtes except Sunday, on reservation. Heating provided through a boiler in the wood chips. The prop., breeder of cows, can make you discover its operation 2 km away. Welcome to the farm label. Children: free meal for - 3 years, 3 to 10 years old: 10. The accommodation is situated near one or more marked hiking trails (PR, GR). The owner provides topographical maps (IGN) and guidebooks. He will be able to advise his guests on the itineraries and can provide a packed lunch (if you take your dinners with him). WAKE UP YOUR TASE BUDS! Your host will offer carefully prepared meals, made with local products in the regional culinary traditions. 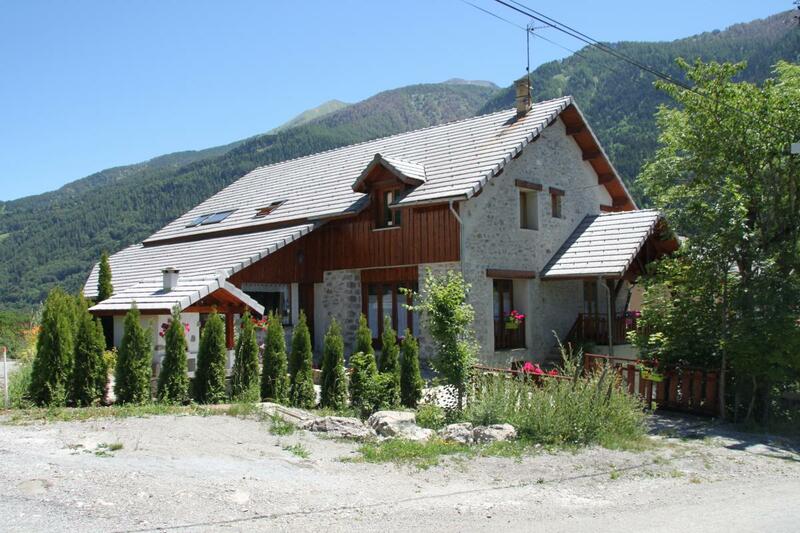 Two 18-hole golf courses are beautifully integrated in the Hautes-Alpes scenery. They are well adapted to this sport demanding certain technical skills, patience, dexterity and relaxation in the open air. Accessible to experienced players, there are also numerous beginners' courses. Accommodations near the Montgenèvre and Gap-Bayard golf courses will provide you with useful information and storage will be available for your equipment. St-Léger-les-Mélèzes is a small, welcoming ski resort in a Hautes-Alpes mountain village on the periphery of les Ecrins National Park. Facing north-west, it is a beautiful area for a skiing holiday with young children, offering a wide range of activities. The village, with its 13th century chateau, combines village and resort life in a natural way. St-Léger-les-Mélèzes ski area has 24 km of pistes, 11 button tows, 2 chair lifts, a snow park, an illuminated piste, mogul stadium and a snow garden for young children. There is a 7 km loop for Nordic skiing. There are numerous opportunities for ski tours and snowshoeing. Situated on the heights of Champsaur valley the resort has a magnificent panorama view. The massif des Écrins is a large mountain range in the French Alps. It is a wild, authentic, Mountain beauty has been able to be preserved because of its status of National Park. \"Le veil of the mariee\" in the Valgaudemar, the refuge of the Glacier Blanc at 2542 m a.s.l. " in Vallouise, Prapic village in the Valley of Champsaur, the Shepherd House, home of the Parc de Châteauroux-les-Alpes in the Embrunais and the Meije cable car are places not to be missed. Accommodation has a garage or a shelter for motorbikes, sheets and bathroom linen are provided as self catering, owner makes available a bomb of grease to the chain and information on pumps petrol and the nearest garages. Maps and tourist information are available in the accommodation and facilitate the Organization of circuits of discovery on a motorcycle from the cottage. Exiled to Elba in 1814, Napoleon Bonaparte landed secretly at Golfe Juan on March 1, 1815. He moves back to Paris by road which now bears his name and to almost, which follows the route of current RN 85. For real vacation relaxation, de-stress from everyday life and leave the right foot or simply if you are looking for a quiet moment, take time to relax. In the Nordic Spa located in the prairie: you will enjoy, in hot water (heated to 36-40 ° by a wood-burning stove), his immersion in nature to observe the starry sky to the sound of crackling wood fire at night! Local activities: The Champsaur is a vast valley with hedged meadows and diverse verdant landscapes. Leisure activities are numerous: hiking, mountaineering, lakes, downhill and cross-country skiing, Col Bayard golf course. Explore the mountain heritage and many local products. Places to visit: The Shepherd's House in Champoléon, the open air museum Dominique Villars in Noyer, the local history museum in Pisançon, les Pétètes chapel in Bénévent, the villlage of Prapic and its museum, the School from Yesterday in St-Jean, the stuffed animals at the ecomusé in St-Léger-les-Mélèzes. Places to visit: \ "The veil of the Bride \" in the Valgaudemar, The shelter of the White Glacier to 2542 m of alt. In the Vallouise, the village of Prapic in the valley of Champsaur, the house of the shepherd. The house of the Park of Châteauroux-les-Alpes in the Embrunais. The Meije cable car.